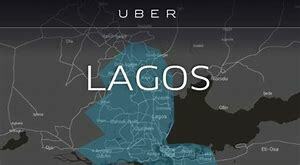 Home News & Politics Opinion poll Alleged Theft: Uber Driver accused of stealing passengers phone discharged by court. Alleged Theft: Uber Driver accused of stealing passengers phone discharged by court. The mark of ignorance is in the depth of your belief because what the caterpillar calls the end of the world, the master calls it a butterfly. Oh Nigeria, when would you get your onus priority aright in wildering a Justice system that works for all because the last hope of "the common man" is planted in getting justice. If you tremble with indignation at every injustice , then you are a comrade of mine because you have guided your minds not to be a strain at a gnat that swallows a camel. For those, who would wonder, the injustice, persecuting and prosecution the uber driver, Mobosi Ikechukwu, is one that should not be washed down the memory lane with ease because of the megalomaniac act of his passenger, FATIMA IBRAHIM ESHOTUNE. This unfortunate incident made waves in the media space with so much rancour and ill fated knowledge of the croax of the matter. The driver who was arraigned in march 2017 had suffered both emotional, financial and psychological trauma owing to the fact that he was a victim of circumstance. Having said this, the Judicial system added a bit of colour to the festival of trouble with slow, poor and staccato mode of adjudication on life threatening matters with several instances to mark as examples. The alleged driver became a known face within the court premises after being able to secure bail with help of family members and friends. Yet his eternal freedom was restored after a year, costing him the normalcy of his life. Hence, sigh of relieve and what could be seen as grinning smile was the expression on the face of Mobosi after being discharged by the court on Tuesday, 24/07/2018 by the Magistrate for lack of proper prosecution of the matter by the prosecutor. In the light of this, it is however obvious that the said passenger FATIMA IBRAHIM ESHOTUNE was always absent from court proceedings therefore wasting the time of the court and the estranged uber drviver who is a man of straw. Observing carefully, It would be safe to reiterate that this charge was based on Fatima's high end connection and means which she utilized to the peak in oppressing, defaming and embarrassing the family of the driver who was accused of stealing her Samsung smart phone, thereby ending his means of livelihood from Uber who has since the commencement of the suit till date black listed him.